With a new location comes a flux of new customers. “In the evenings we get a lot of people who live in the neighborhood coming in and people on their way home from work,” shares Jekel. 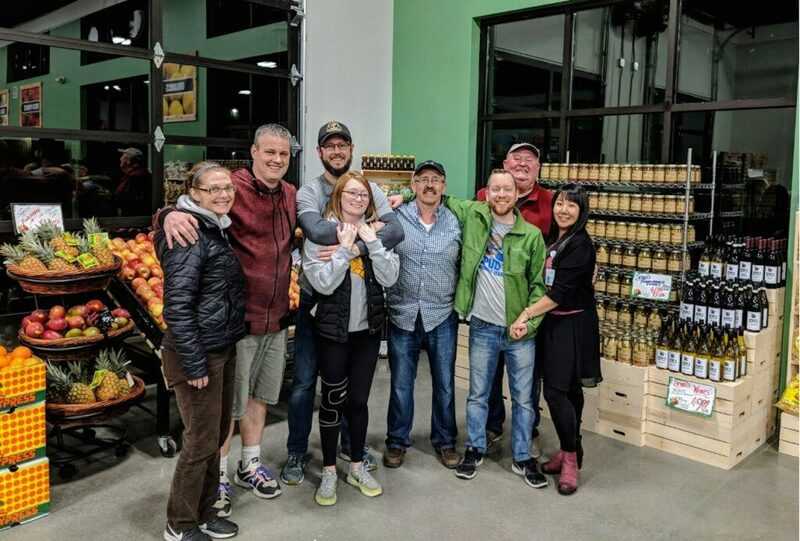 “During the day we are seeing a lot of the state offices coming in for lunch, while the warehouse people will come in the morning.” The team at Spud’s Produce Market II is prioritizing getting to know their new customers. While the mission to provide high quality products at an affordable price, and connect with, listen to and serve their customers while working with other small businesses is unanimous among both stores, there are a few differences. One of the major additions to the Tumwater location that will you not see at the Wildwood market is a selection of grab-and-go lunch items. Spud’s Produce Market II is next door to the Attorney General’s office, down the road from multiple state buildings and near the Alaffia warehouse. Because of their close proximity to multiple work spaces, the crew at Spud’s Produce Market II are catering to the folks looking for a quick lunch. “We have sandwiches and salads from The Bread Peddler, which have just taken off!” exclaims Jekel. The grab-and-go items are freshly made and delivered each day, ensuring the highest quality for their customers. 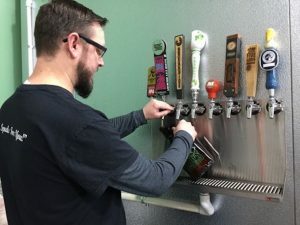 Caldwell is loving talking beer with his customers, he shares that filling up growlers could be an eight hour shift on its own! 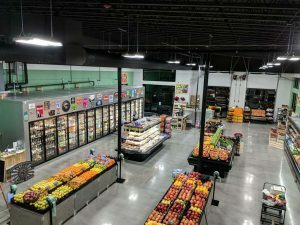 The produce department at the new location is similar to that at the first store, but still there are subtle differences. “The packaged salad mixes, like the Organic Girl, are selling a lot,” shares produce manager Dave Crover. He laughs as he remembers coming in one morning only to see that the salads he stocked the night before were basically gone. Crover shares that he is looking forward to the nicer weather so that he can roll up the garage-like doors out front and began displaying the produce outside. 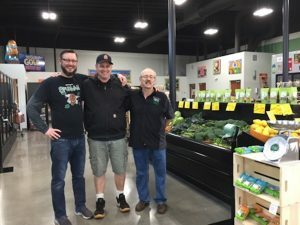 Spud’s Produce Market II is planning on adding bulk coffee bins, maintaining their selection of grab-and-go lunch items, carrying a wider selection of bread from various bakeries and has started a partnership with Olympia Seafood Company. 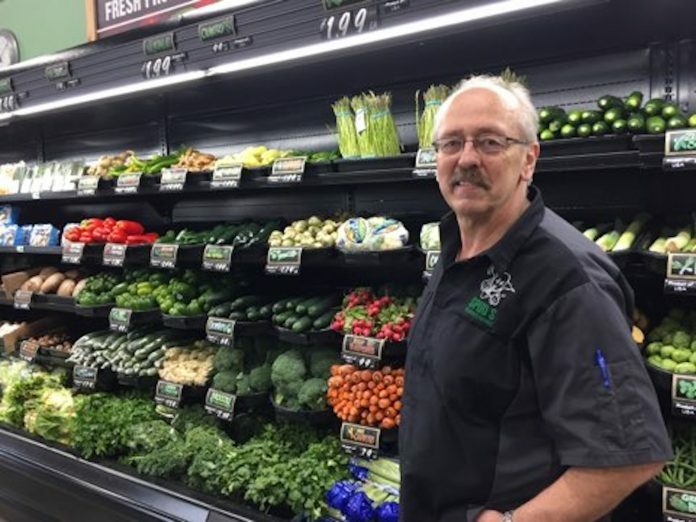 The team’s dedication to crafting a market based on the needs of their customers earned them the nickname of the “neighborhood pantry” at their Wildwood location. One I believe will be carried over to their Tumwater store. One customer shared with Jekel that she didn’t realize how much she needed Spud’s Produce Market until they were there, a feeling I’m sure is shared among many. Monday – Sunday: 9:00 a.m. – 7:00 p.m.
Monday – Sunday: 8:00 a.m. – 7:00 p.m.